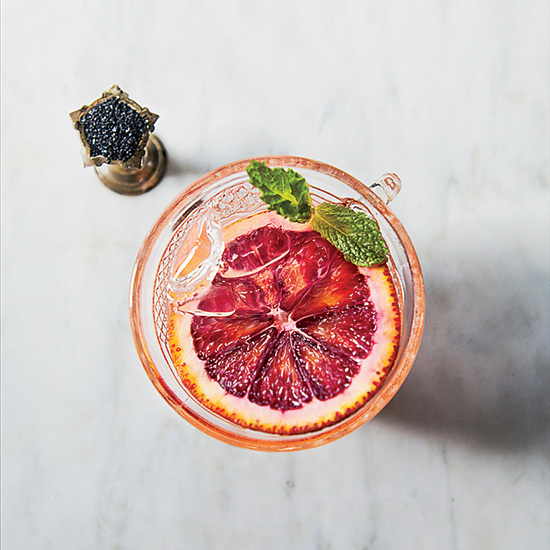 At her Seattle bar, Rob Roy, mixologist Anu Apte creates amazing cocktails with wild components like gunpowder. Here, 7 of her secret-weapon ingredients. "This hard cider combines two great Washington state products: heirloom apples and Cascade hops. I drink it at cellar temp or chilled." finnriver.com. "All of the syrups in this line are amazing. My favorite is the orgeat-almond syrup. It's great in mai tais and The Japanese cocktail, one of my favorite simple classic drinks." smallhandfoods.com. "This local Seattle company makes really great, straightforward bitters. The orange ones taste like orange and they're bitter; the lavender ones taste like lavender and they're bitter! You get the point." thebostonshaker.com. "The mintiest crisp-and-clean mint liqueur you will ever taste. It takes the Grasshopper to another level." hitimewine.net. "This is the only aged cachaça that I know of, and it's really great in cocktails or on its own. We have a drink called Corvus & Crater, which is the aged cachaça with bourbon, lemon juice, fig jam and our house-made falernum." astorwines.com. "Finally, a crème de cacao that I can stand behind. Distiller Steven Stone's cacao is well balanced and not syrupy sweet. At Rob Roy, we use it in the Maxim cocktail with gin and dry vermouth." binnys.com. "Washington state has a rapidly growing craft distillery scene. I'm really impressed by Westland Distillery: All of its focus is on making whiskey, rather than making gin and vodka, like so many other distilleries." westlanddistillery.com. For more on Apte's cocktail philosophy, read A Mixologist's Quest for the Next Big Cocktail Flavor.